Stamina points are used to participate in most battles. You have a maximum of 50 points at any given time, and if you are not at the maximum, you will earn more points over time at a rate of one point every five minutes. You can see your current point total, and a countdown to your next point, at the left side of the top bar in any menu screen. 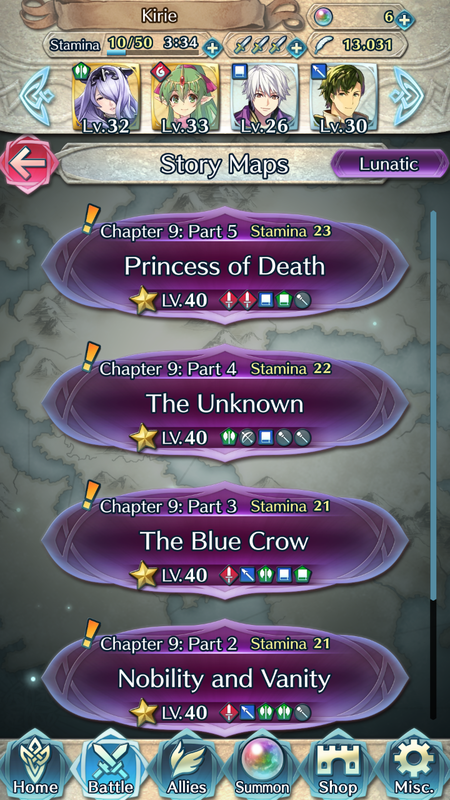 You pay a certain amount of Stamina points every time you wish to do certain activities in the game such as playing chapters in Story Mode, participating in a Special Map, or battling in the Training Tower. The more difficult a map is, the more Stamina it will cost to play. 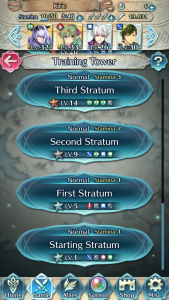 Point values currently vary from 1 Stamina for the easiest training map up to 23 Stamina to play Chapter 9: Part 5 on Lunatic Mode. If you try to play a map but you don’t have enough Stamina, a message will pop up asking if you would like to use a Stamina Potion. 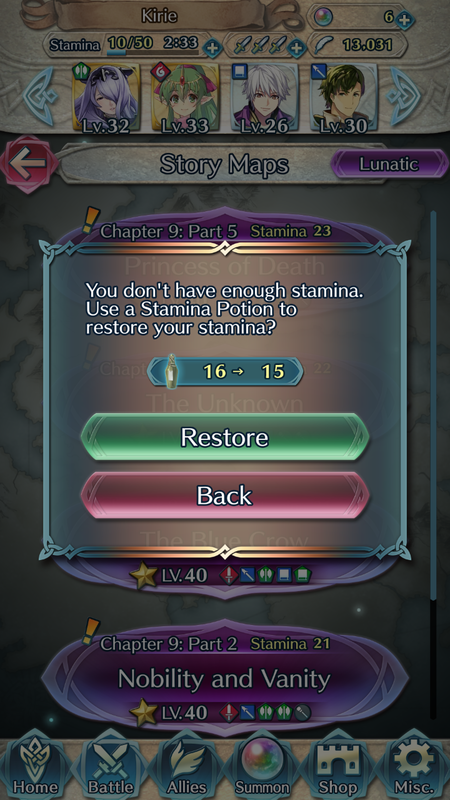 Stamina Potions give you 50 Stamina points, and using one will let you exceed the typical 50 point maximum. 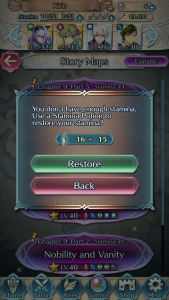 If you do not have any Stamina Potions, you can also use an Orb to restore 50 Stamina as well. Orbs are the main currency in Heroes. They can either be purchased with money or earned in-game. You can see your current Orb total in the upper right side of the top bar in any menu screen. Orbs are used as currency for a lot if different aspects of Heroes. 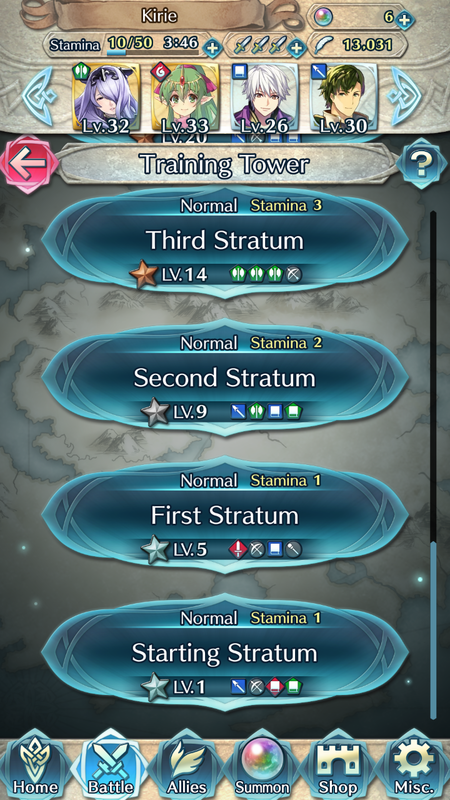 The most popular use for Orbs is Summoning Heroes, which you can do in the Summon menu. 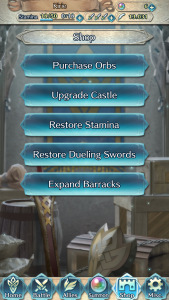 They can also be used to upgrade your Home Castle, refill Stamina or Dueling Swords, or expand your Barracks, all available in the Shop menu. You can either earn your Orbs in-game, or you can purchase them using real world currency. 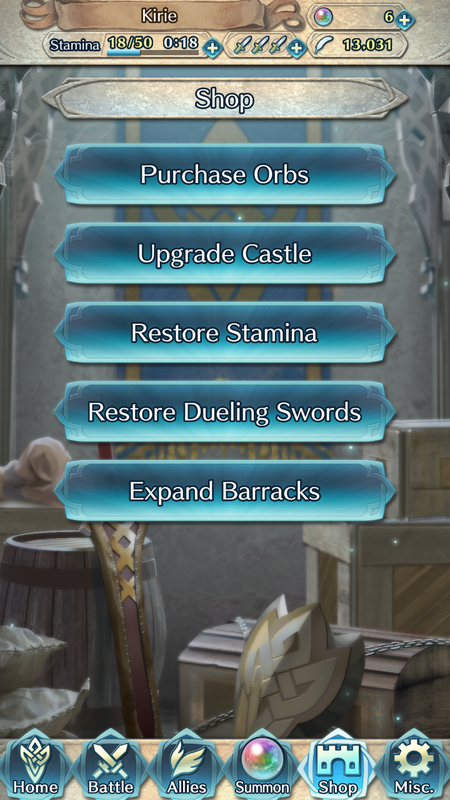 To purchase Orbs for money, go into the Shop menu and select Purchase Orbs. You will then be shown a list of tiers of Orb amounts that you can purchase, and the total price for each tier. The following table lists the amounts of Orbs available for purchase and their cost in US Dollars, British Pounds, Euros, and Australian Dollars. You can also earn Orbs in-game. 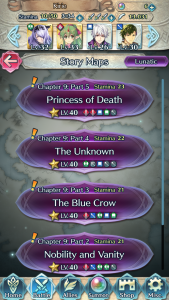 You get one Orb the first time you complete each map in Story Mode in each difficulty, and you can also earn Orbs in some Quests & Missions, or during various special events.